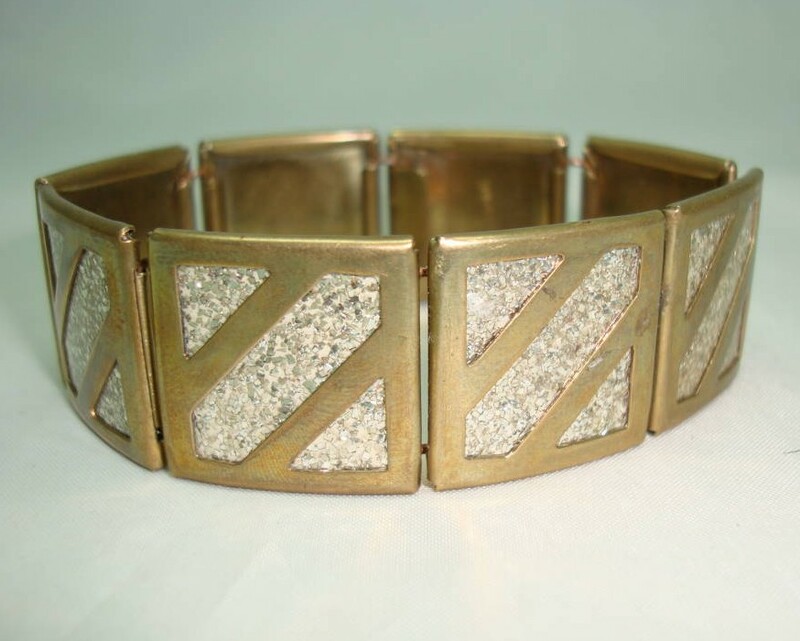 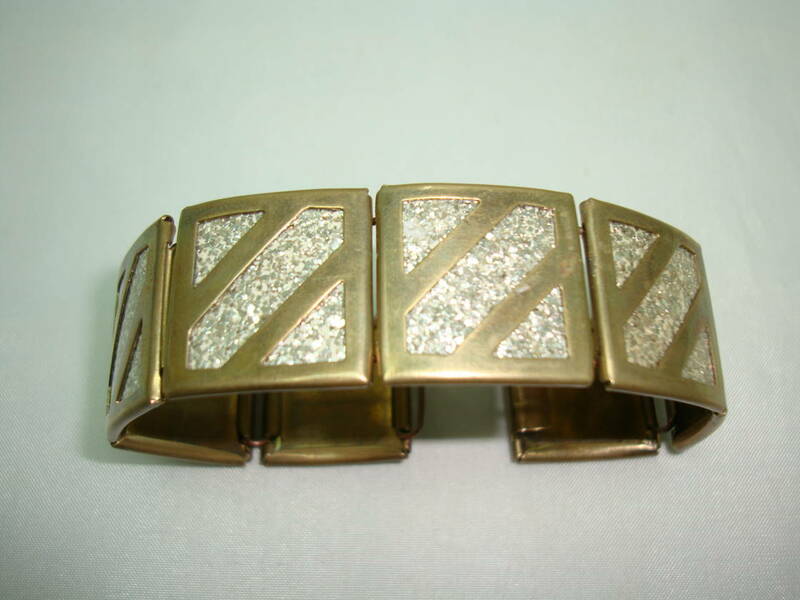 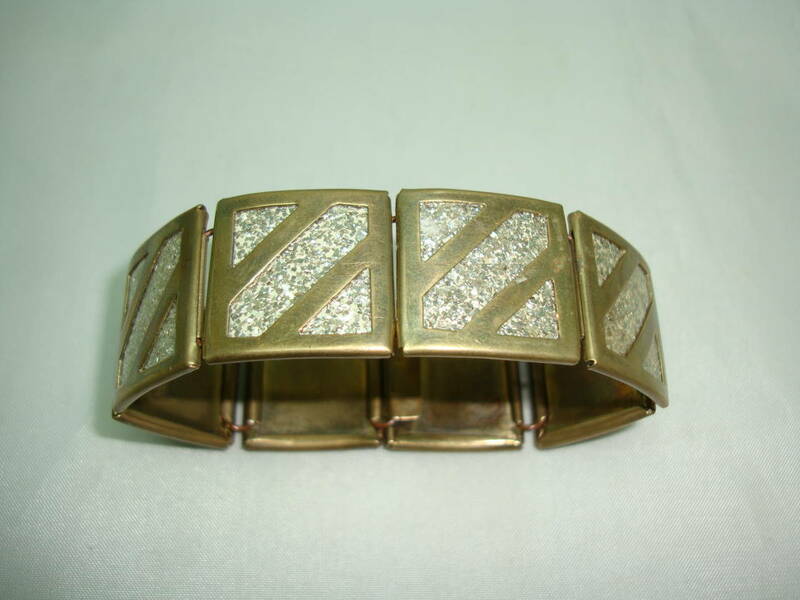 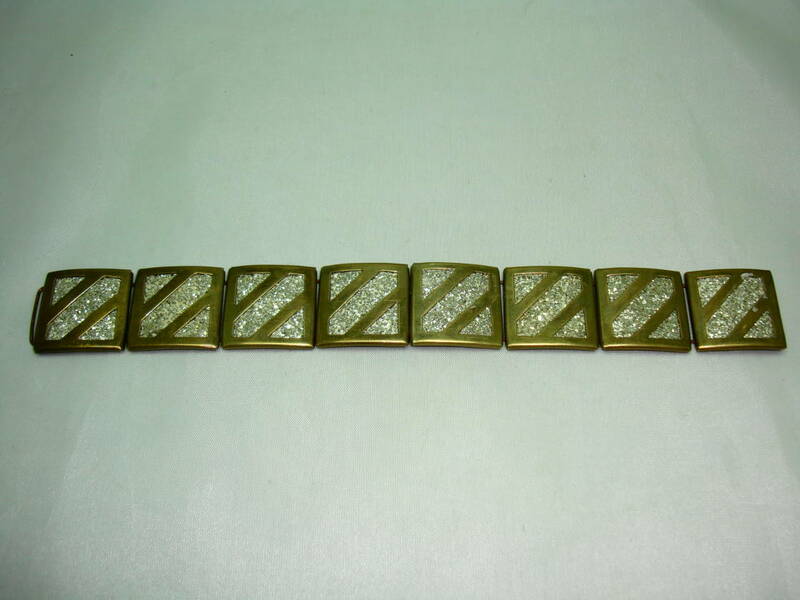 We are pleased to offer this fabulous vintage 1930s/1940s wide geometric square link bracelet with inset lucite gold sparkle. 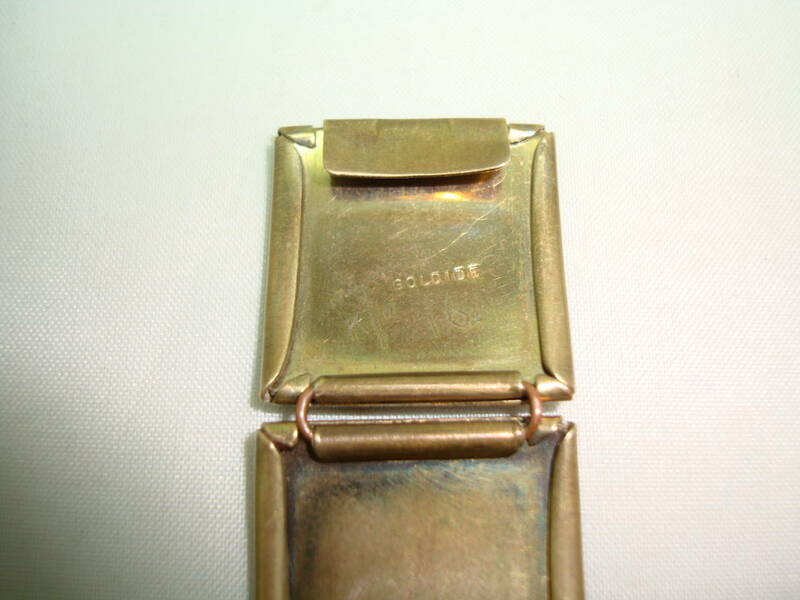 Excellent vintage condition, marked Goldide on reverse with letter K /16. 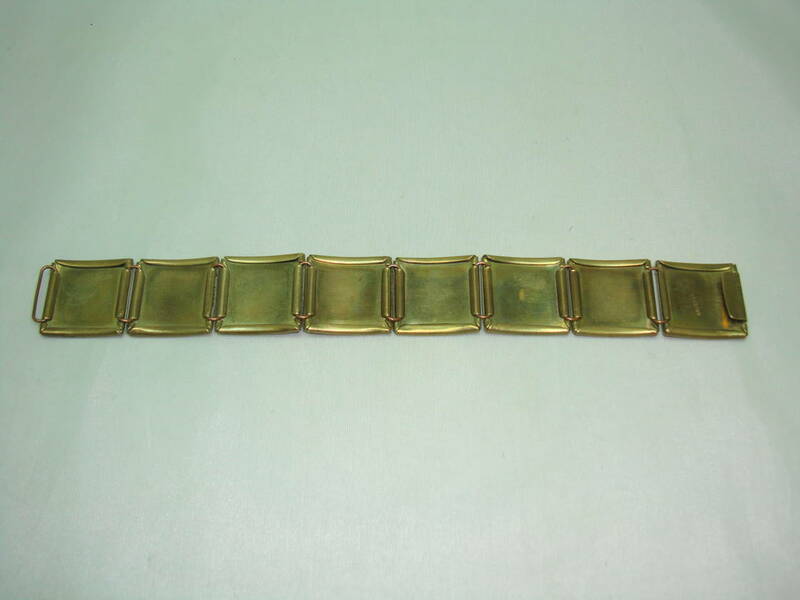 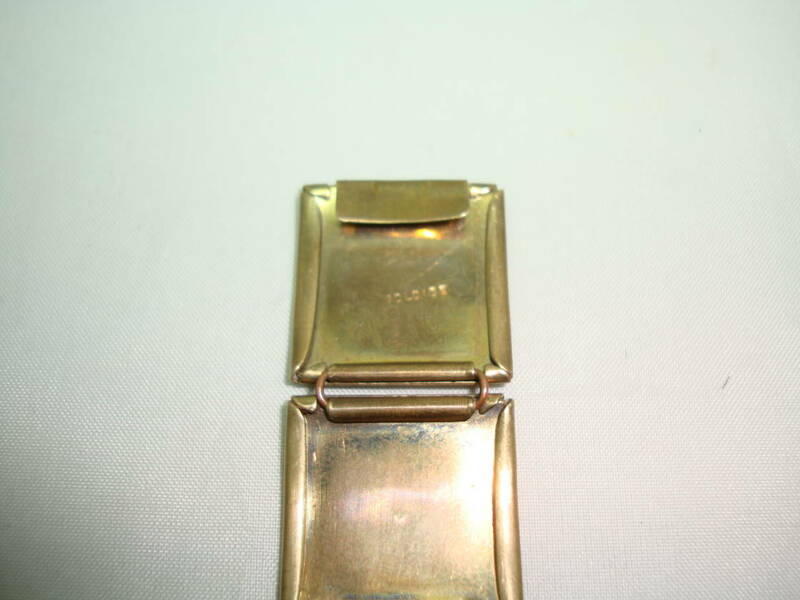 I suspect this piece originates from America and is is either rolled gold or gold plated. 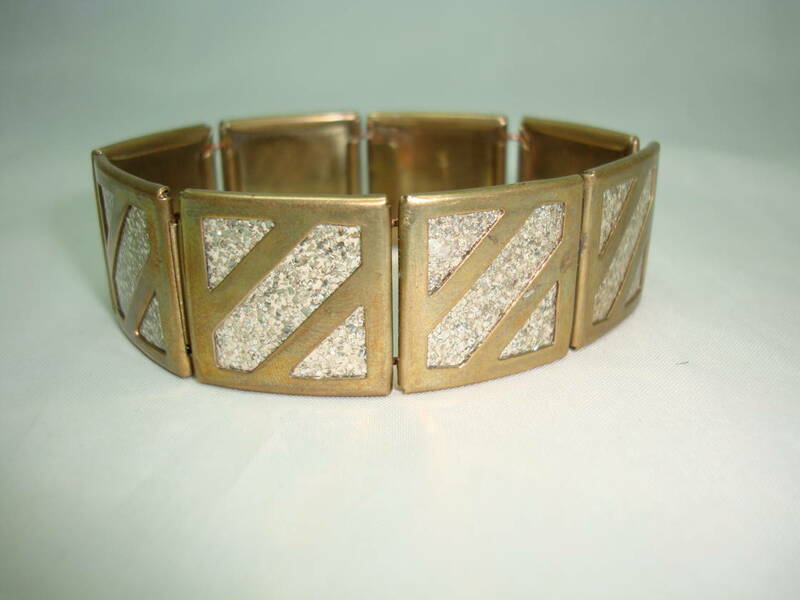 A very well made, unique vintage bracelet which looks really attractive on.